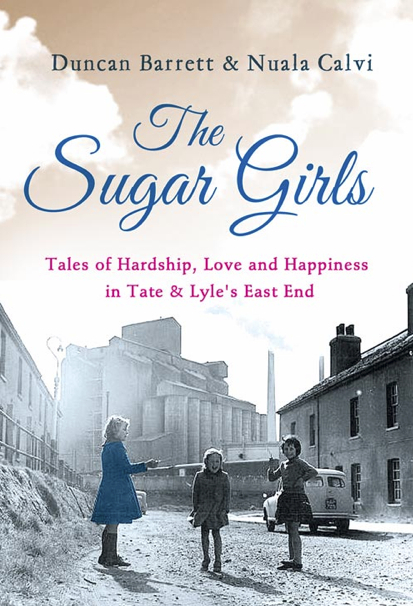 The Sugar Girls by Duncan Barrett and Nuala Calvi is a social history of women in London’s East End who worked in the Tate and Lyle sugar factories after WW2. The book takes the stories of four women as a focal point and weaves in snippets of other people’s lives and memories. I haven’t been reading a lot of non-fiction since leaving university but I really think this is worth a look – especially for young women who don’t realise how much life and opportunities have changed for them since the fifties. I spoke to one of the authors, Duncan Barrett, about how the book came to be written, stories that didn’t make the final cut, and collaborating with co-author Nuala Calvi. I thought I’d experiment with a few character sketches from the play. First on the list is ‘A kind but poor gentleman’. 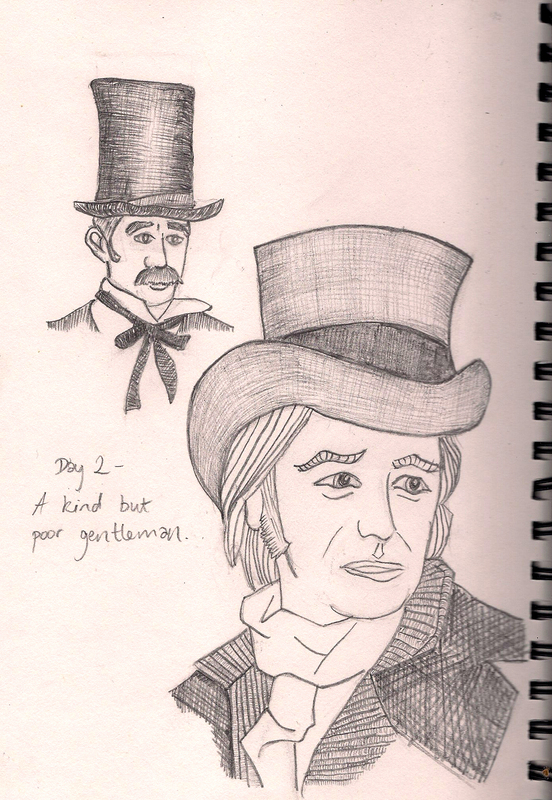 I’m not sure exactly how old he is, or whether he wears a hat… So I drew a couple of kind men. In hats. Hats make the gentleman, probably. I imagine him sort of shabby but refined although that patently doesn’t come over in either of these, they both appear quite well to do. OH WELL. This is why we do research. As regular readers are hopefully aware, I am trying to write a book every month with a vague future aim of publication and possible literary stardom. The answer to this is no, and I can tell you for why. I often come up with character names ahead of their personalities. Not always, but often. She went on to explain, quite rightly, that “sheep are entirely unrepresented in the fantasy genre.” And if I don’t rectify this glaring omission, who will? 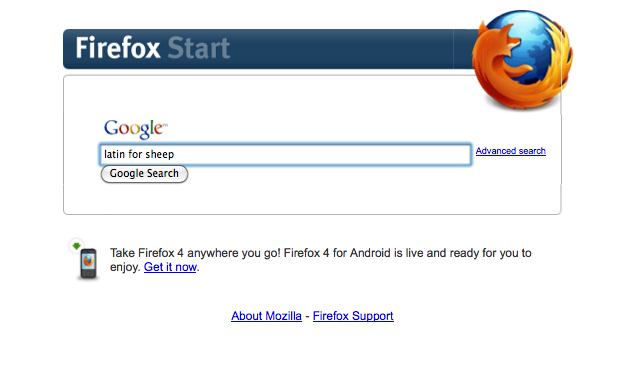 I googled the Latin first. Dead languages are pretty fantastical, after all. 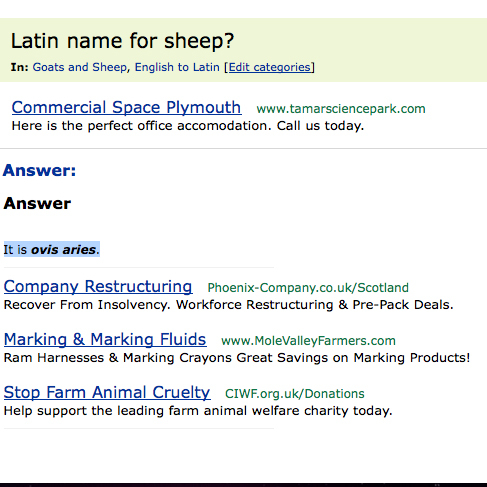 In amongst all the adverts I found my answer – ‘Ovis Aries’. 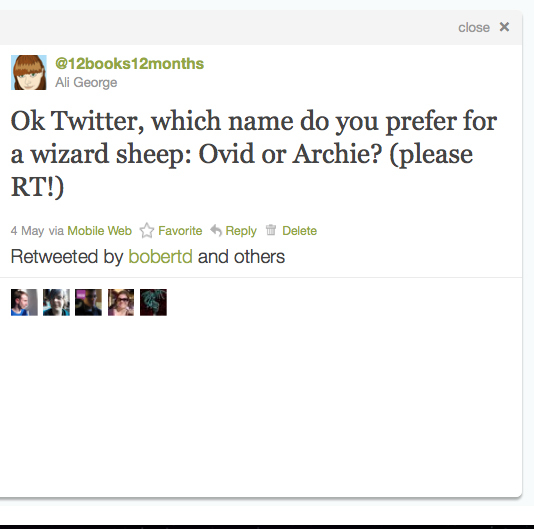 Naturally the first two names that came to mind that sound a bit like these were ‘Ovid’ and ‘Archie’ – both of which could work. Ovid, Roman poet who was very popular in the middle ages, unusual first name which could mark him out as special; and Archie, short for Archibald, a fairly old fashioned name meaning ‘brave’ which this sheep will have to be in order to complete his quest. Whatever that is. 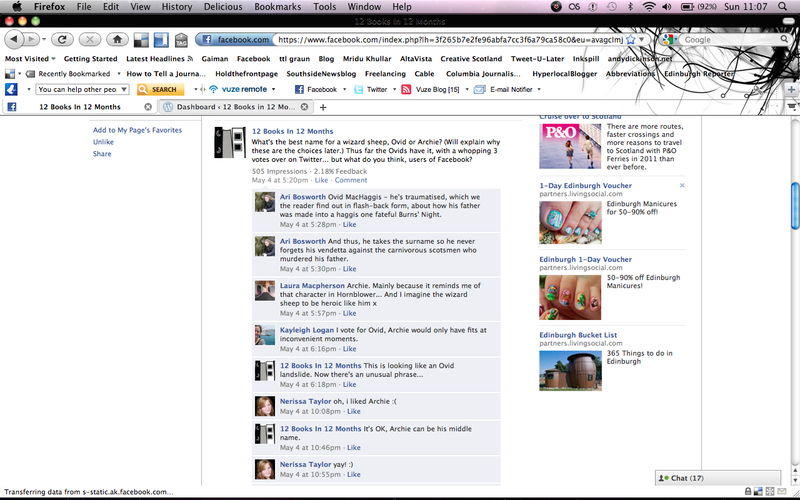 There was only one thing for it – I had to appeal to the internet for help. And I thought ‘hm, the ideas I have for this are less mystical and aloof and probably more suitable for ten year olds.’ So I went on the facebook page to see whether they were in agreement. And although the writing was rather small you could see that the Ovid tally rose ever further. So, for the time being at least, that is what my wizard sheep is called – Ovid Archibald McHaggis. One wonders how characters were named before the days of the internet. 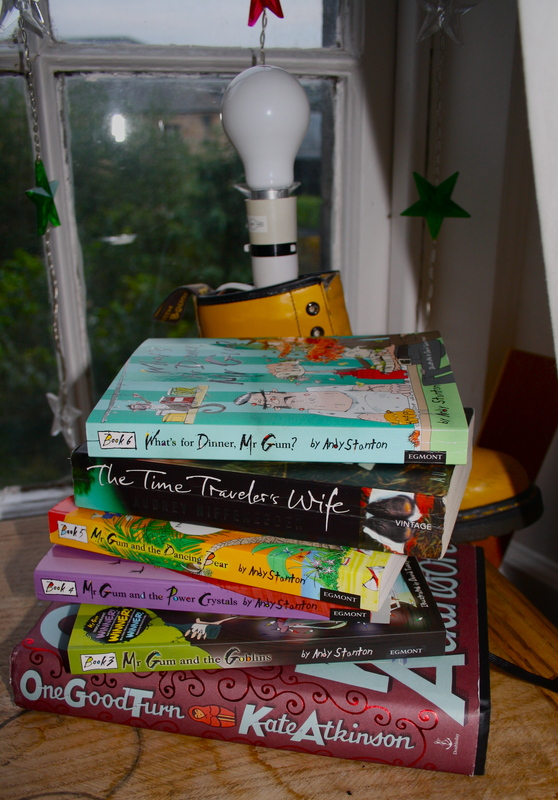 How do you name your characters, other writers? Do you have a set process, or is it a bit ad hoc, like me? 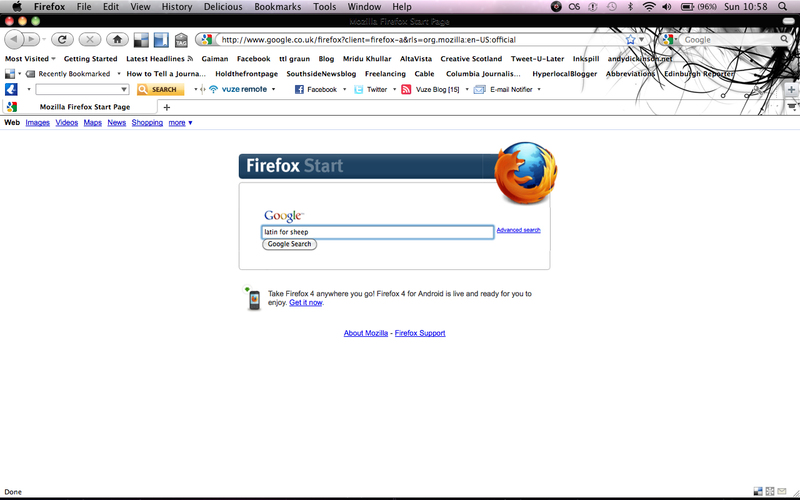 And do you ever change a character name half way through writing and then have to go back and check them all?